looks like some sort of sweet...I know! Coconut ice! Fabulous closeup. Enjoy your visit! Really sweet close up capture. 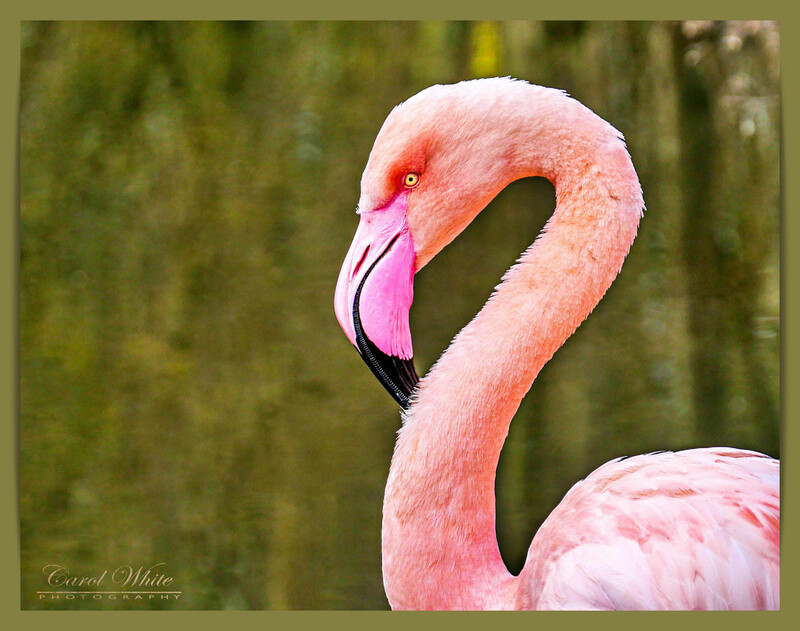 The flamingo pops beautifully against the greens in that lovely, painterly background. Nicely done. great composition here - what a lovely pose. Isn't he gorgeous. Have a great holiday with your friends. Wow! Such a fab shot!